Medication can be a useful tool in the field of psychiatry as a way to improve the symptoms of a mental illness by balancing chemicals in the brain. However, there are many interesting cases in which a pill which is designed not to have any effect can also yield improvement in symptoms. The phenomenon of the placebo effect is important to study in the field of mental health to ensure that a medication has a truly positive influence on a person’s illness. In clinical trials of medications for mental illnesses, the possible placebo effect of a medication needs to be determined. If a medication is making people feel better simply because they think it will make them better then has no real value as an active treatment. However an added placebo effect can be beneficial for a medication that is already proven to have positive results. The placebo effect can be a helpful way to enhance treatment and get people feeling better quickly. When people have a belief that their condition will improve it can be a powerful motivator in helping them work toward recovery. However, it is still necessary to include active medication and functional treatment to truly improve symptoms of a mental illness. The placebo effect is not fully understood but it is a known phenomenon that can occur in clinical research. 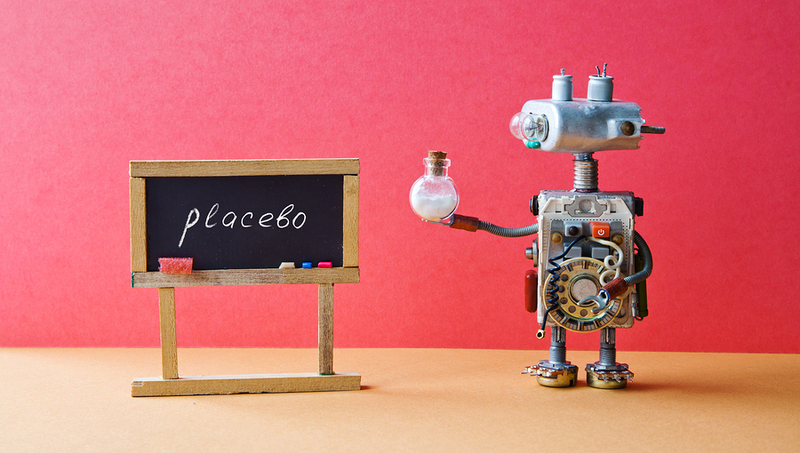 Essentially, a placebo is anything that appears to be a “real” medical treatment but isn’t. Studies may use a relatively inactive substance such as saline or sugar and provide it in pill form as a placebo for a control group. When someone experiences a placebo effect, they are told that their placebo is a real medical treatment and the belief that it is real can cause them to report improvement in their symptoms. A placebo is used to test the effectiveness of a drug compared to a an inactive drug and yet psychological influences can make the placebo seem effective as well. The placebo effect tends to take place more often with issues such as depression and sleep disorders. There are various theories about why the placebo effect occurs and people are able to improve their symptoms simply through the belief that they are taking active medication. Most research on the placebo effect focuses on the relationship between the mind and the body. A person’s expectations for a pill can potentially dictate how their body responds. If a person expects a pill to have a certain effect on them then in theory their body’s own chemistry can cause those effects to occur. Studies involving placebos have shown that participants will report bodily responses that they are told will happen because of the pill. If they are told a placebo is a stimulant for example, they might show a higher pulse rate and blood pressure. The placebo effect can work for both positive and negative reactions. If a person is told a certain pill will improve their depression or help them sleep better then they will experience those things. When people are told a placebo has certain side effects like nausea or headaches then there is a greater chance of those things occurring. People often experience positive results from a placebo when they have mental illnesses that are tied to their state of mind. Someone experiencing depression or even severe anxiety problems such as panic disorder is likely to be highly responsive to a placebo. People with posttraumatic stress disorder also have a high placebo response because many of their symptoms have to do with mental stress and memory. However, certain mental illnesses such as obsessive compulsive disorder are less likely to exhibit a placebo response. Studies show that the placebo effect is not the same across all psychiatric disorders but instead tends to work on specific illnesses. Other issues such as ADHD have little no response to placebos as medication is more effective than behavioral treatment. In cases where patients take medication that has been proven effective, they can experience an additional positive response as a result of the placebo effect. The medication itself will improve their symptoms and the belief that their mental health treatment will work can also help improve their condition. The added effect of their mental state can go a long way to reducing the issues they are having with their mental illness. Physicians can take advantage of the placebo effect by providing patients with the confidence that their treatment will work. People with depression for example can see great improvement when they are inspired to believe that they will feel better in a certain amount of time. The combination of real treatment and confidence in the effectiveness of the treatment can have positive results for people that need to improve their mental health.